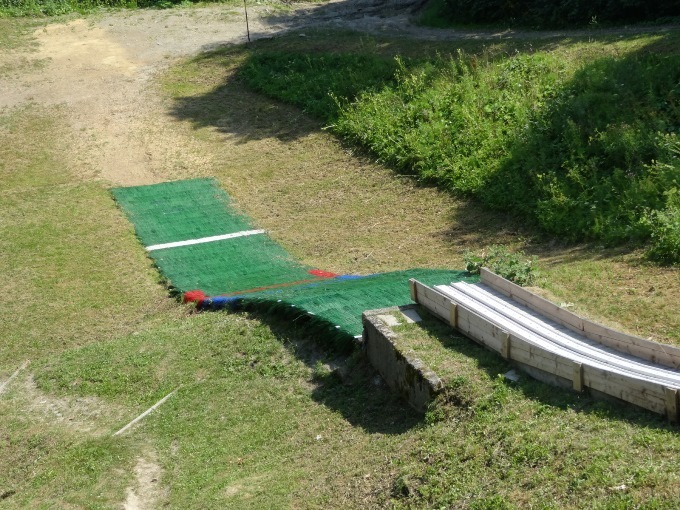 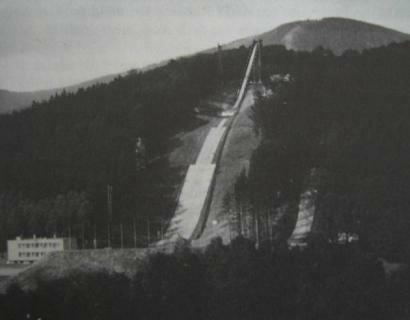 The first jump was built in 1932 at the mount Kozini and jumps were about 25 m long. 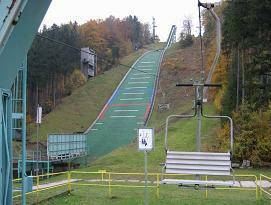 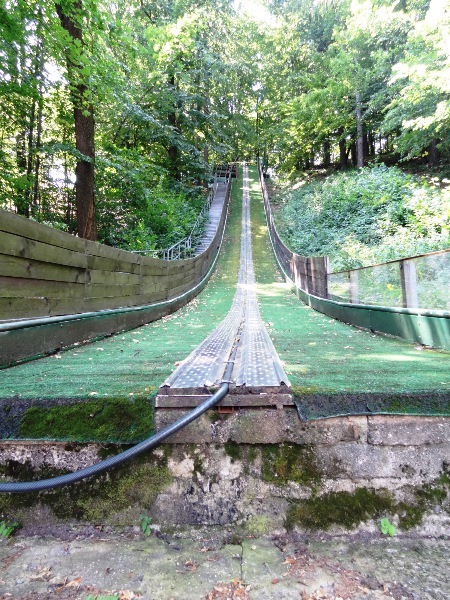 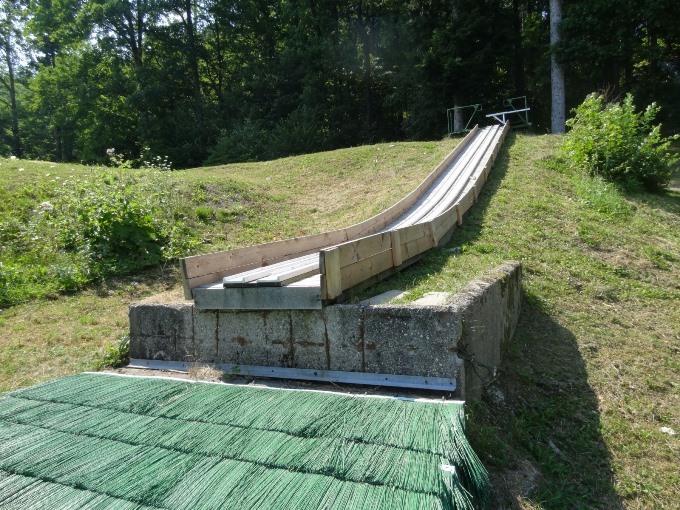 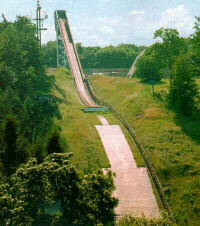 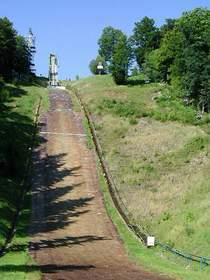 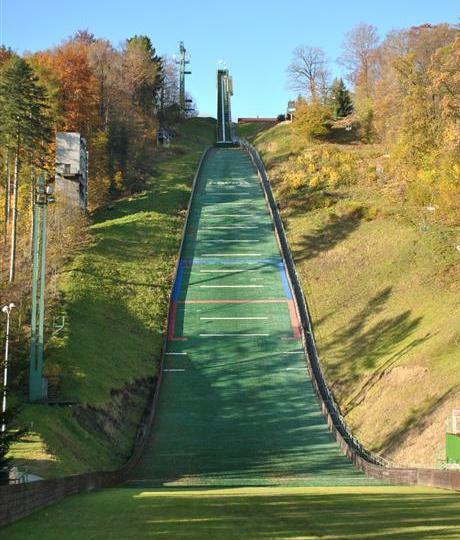 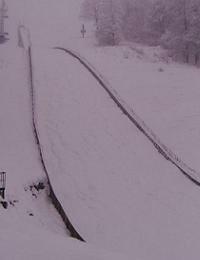 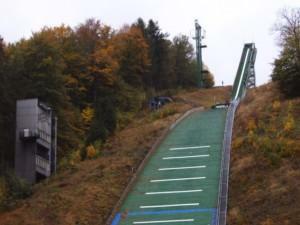 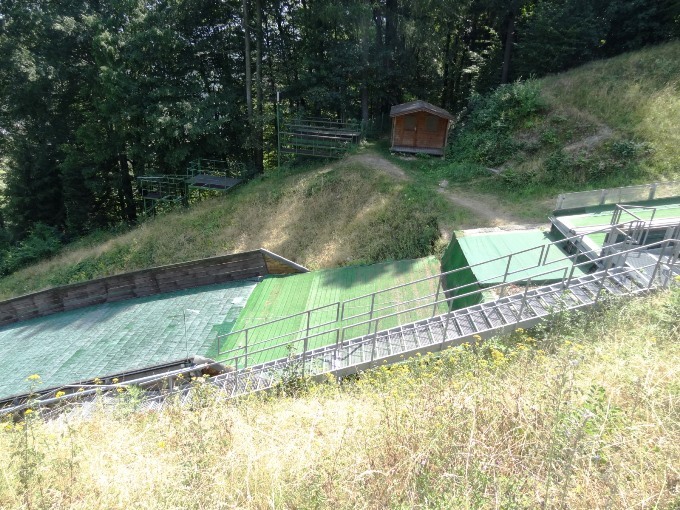 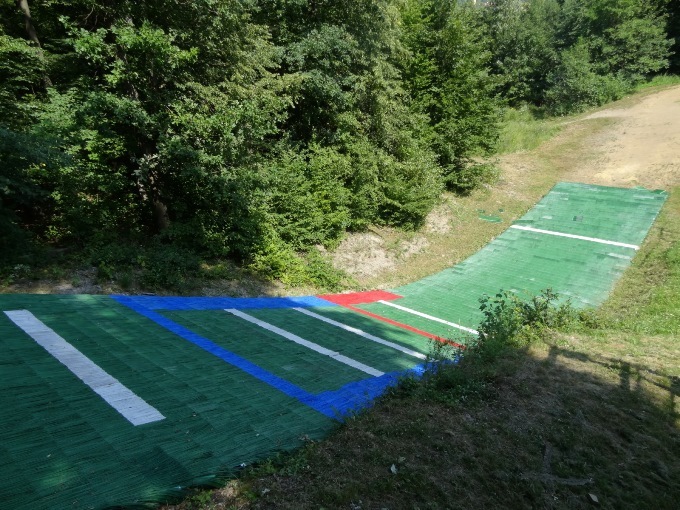 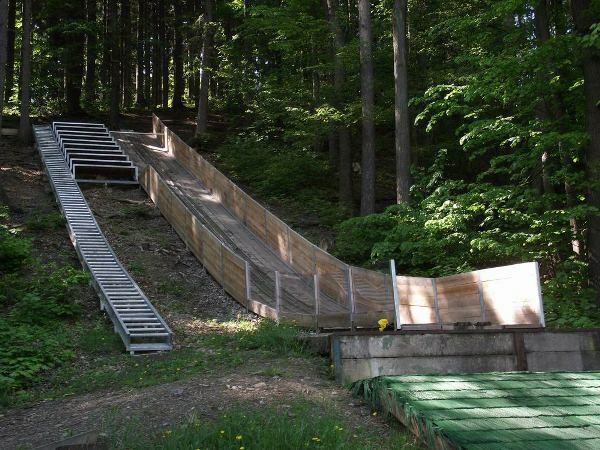 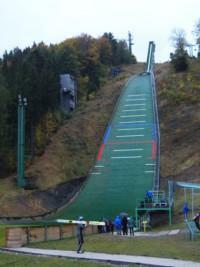 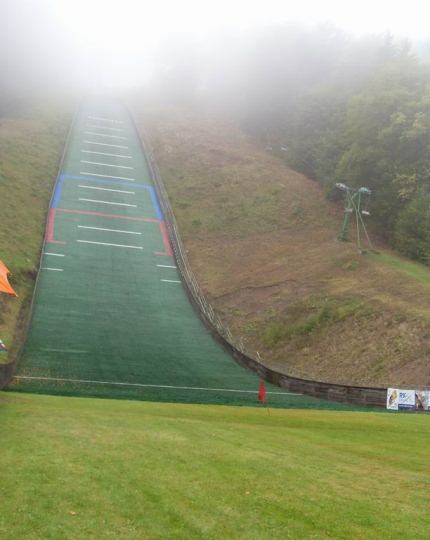 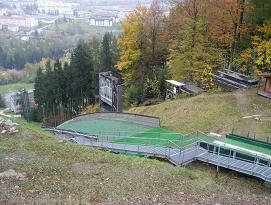 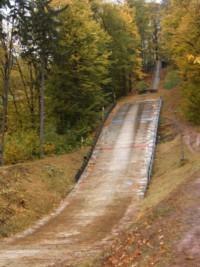 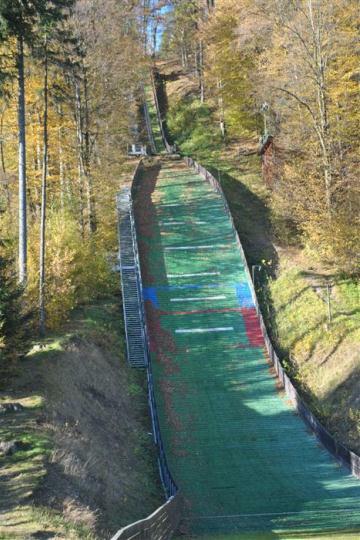 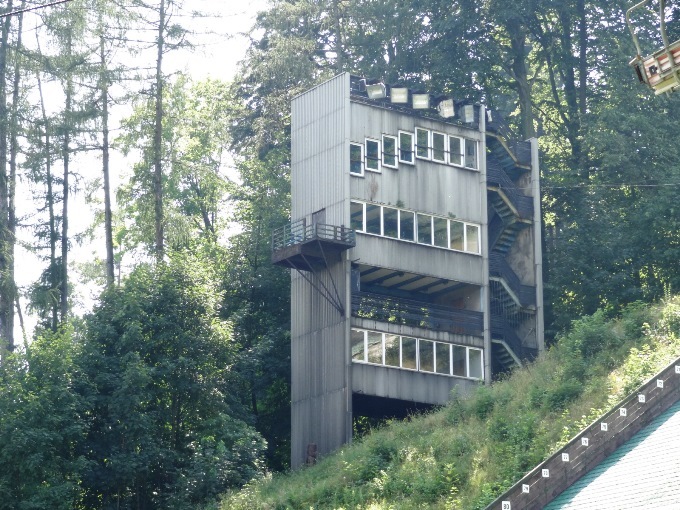 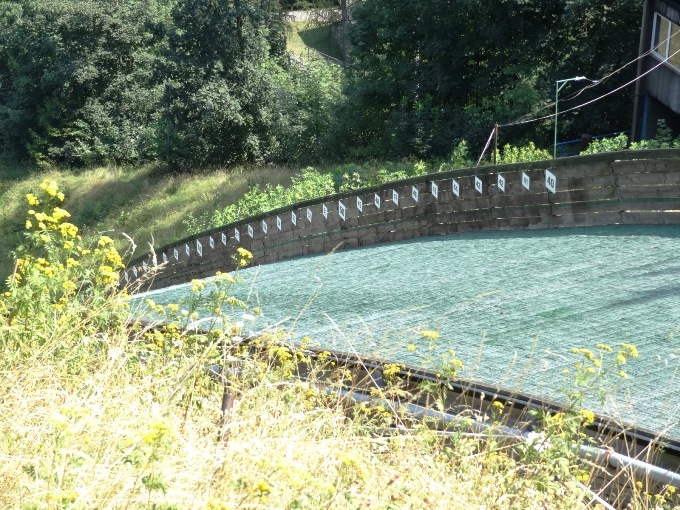 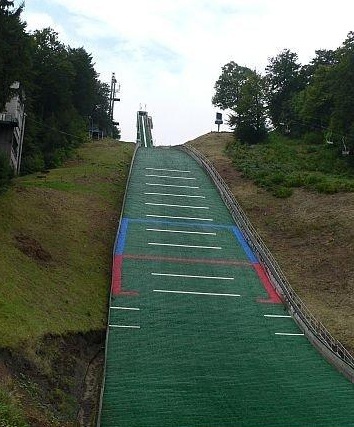 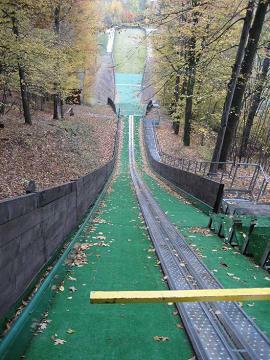 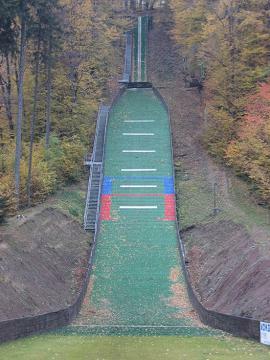 This ski jumping hill was used until 1948 and the closed down. 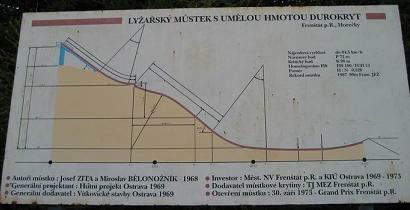 The Horečky-Hill not far from it has its origin at about 1935. 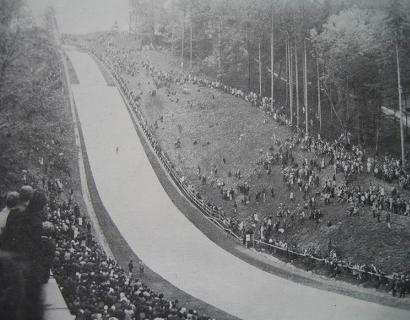 At the beginning they jumped about 30 m but later reconstructions made widths of up to 60 m possible. 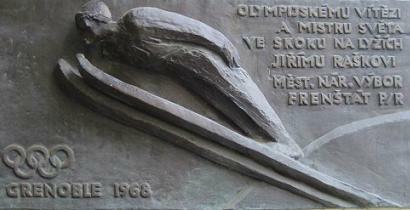 In 1960 the building of two plastic covered hills (K60 and K40) was discussed, but only realized after the Olympic ski jumping gold medal for Jiří Raška from Frenštát at Grenoble in 1968. 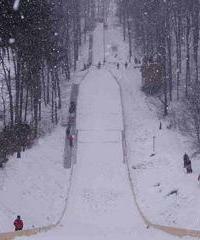 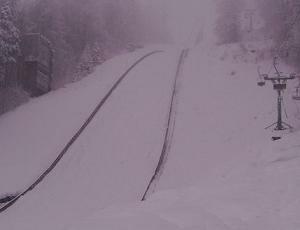 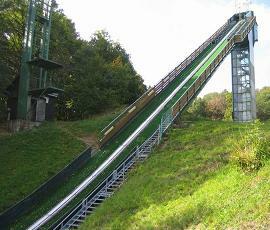 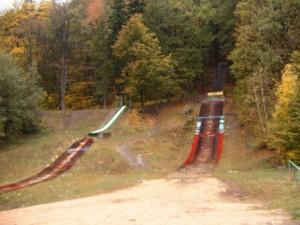 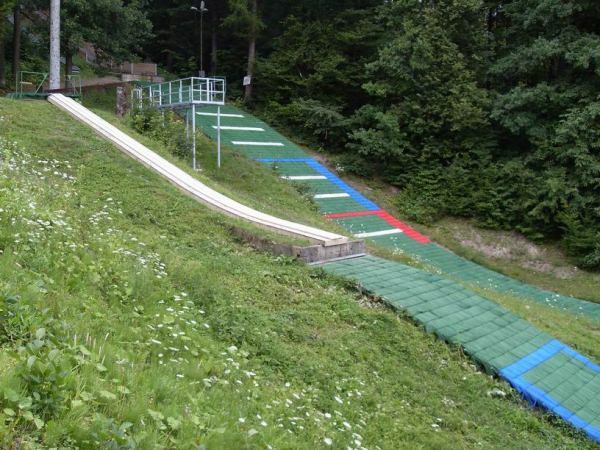 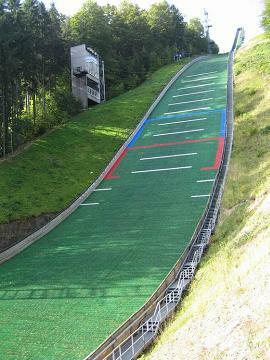 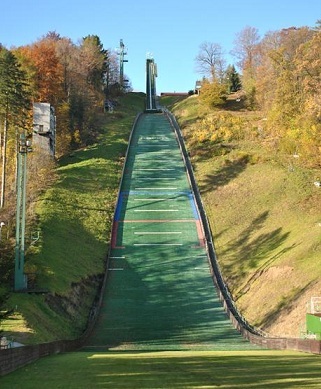 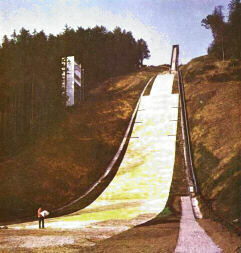 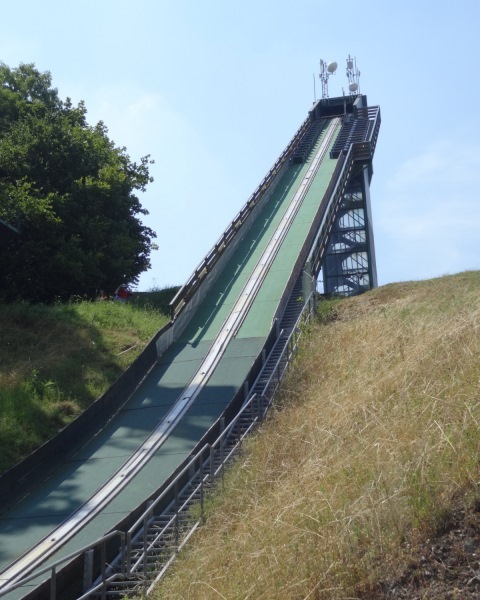 Consequently in 1969 the K45 plastic hill and 1973 the K21 ski jump were built. 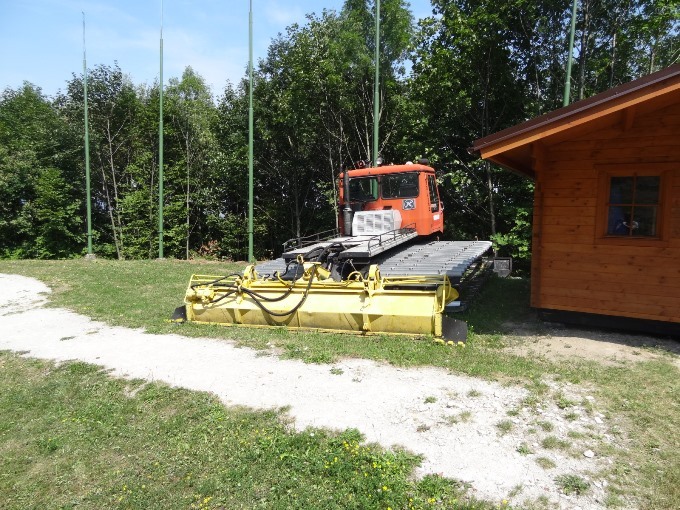 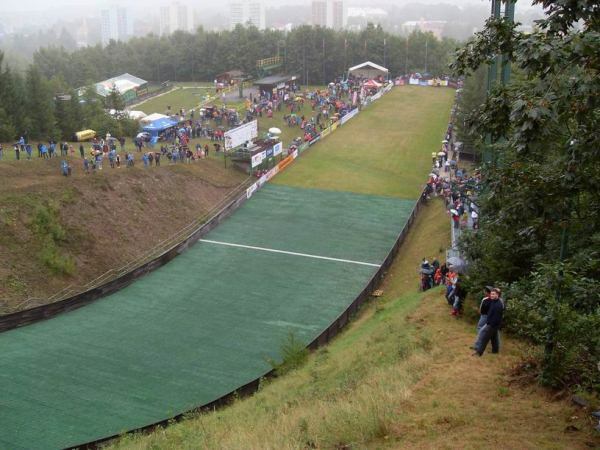 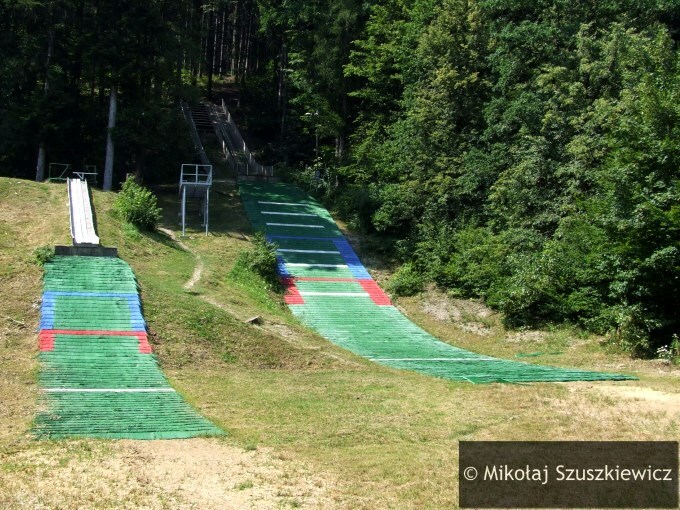 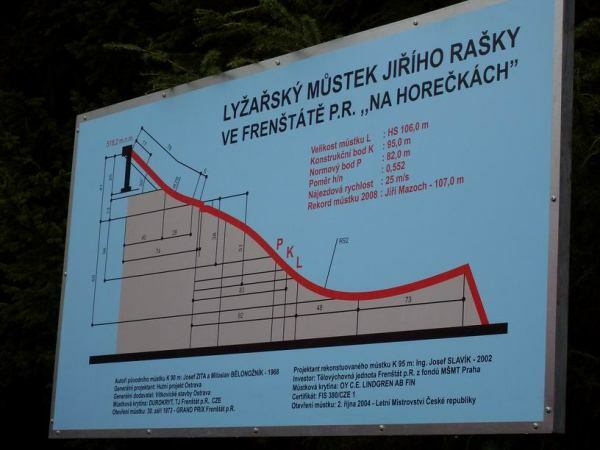 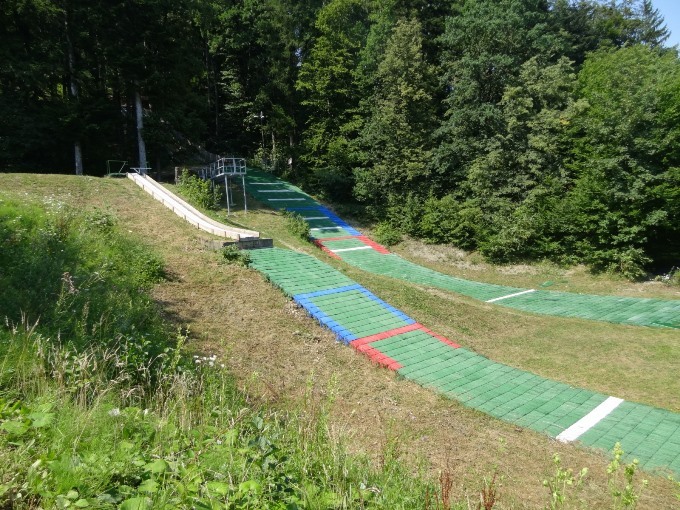 At the same time the ski club TJ Frenštát decided to build a new large 80 m plastic covered hill with plans of Miloslav Bělonožník at the slope of the old K60. 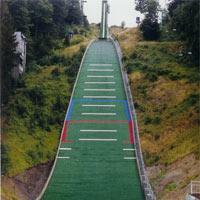 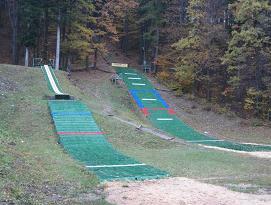 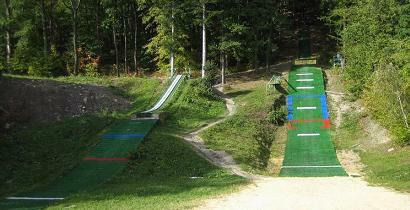 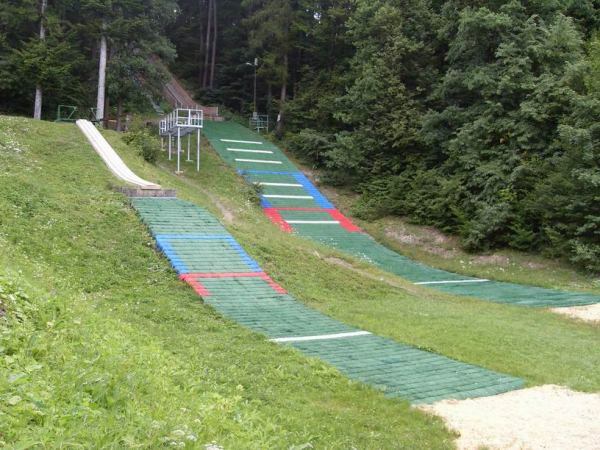 In September 1973 Jiri Raska made the first jump on the largest plastic matting hill worldwide at that time. 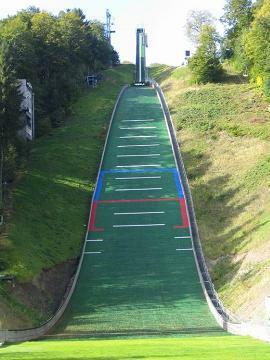 In 1982 the installation of an electronic measure system and a lift up to the tower of the jump followed. 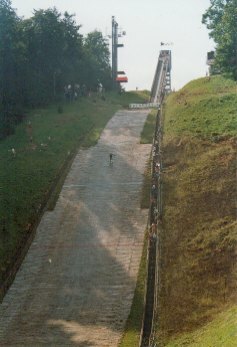 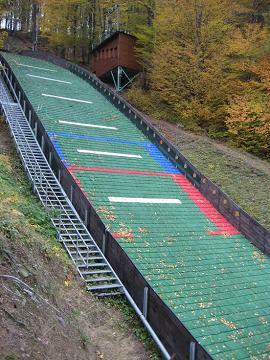 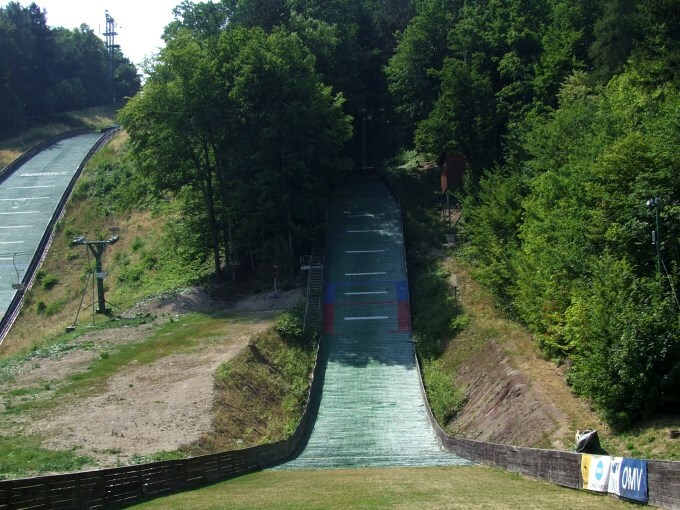 In 2002/2003 the jumping hill was enlarged into a K95, covered with Finnish mattings and received a ceramic inrun from Slovenia. 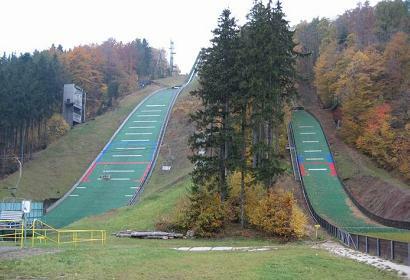 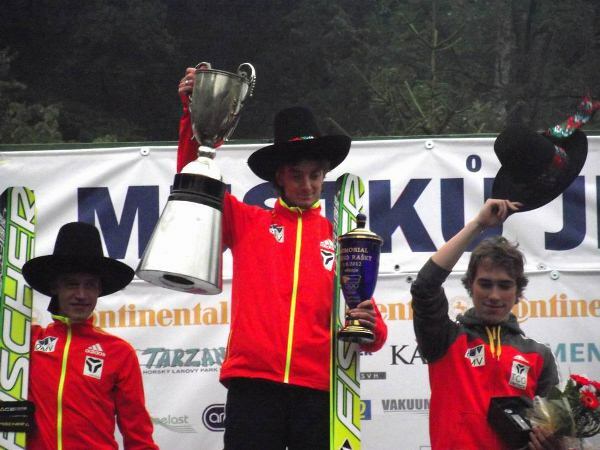 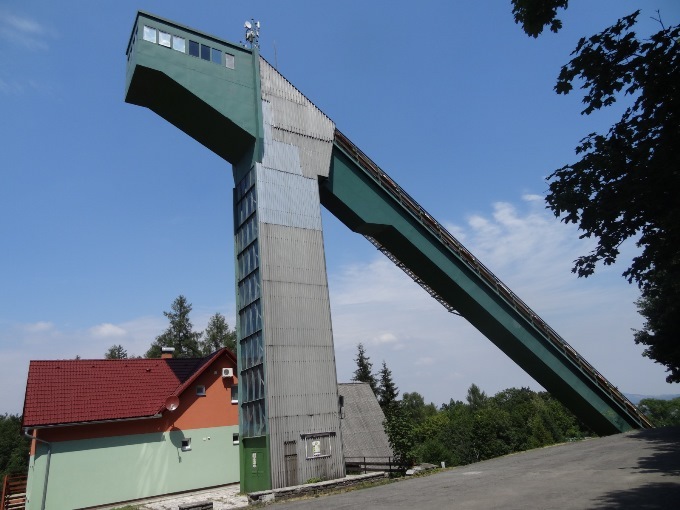 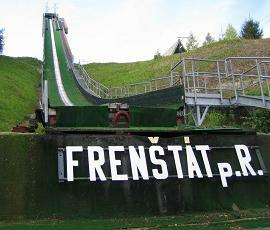 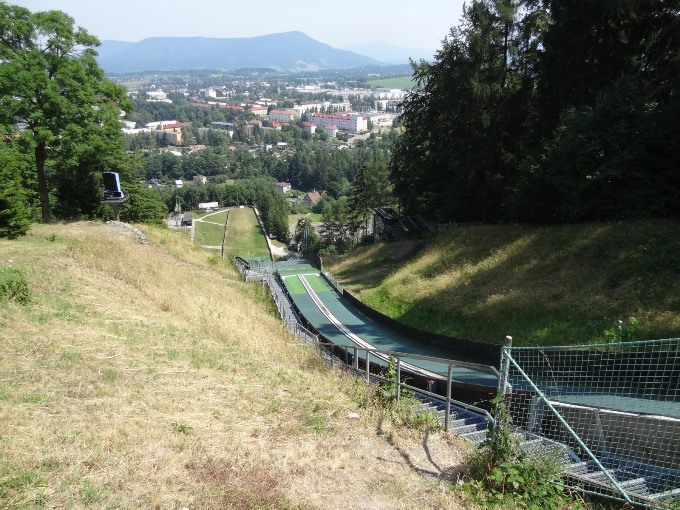 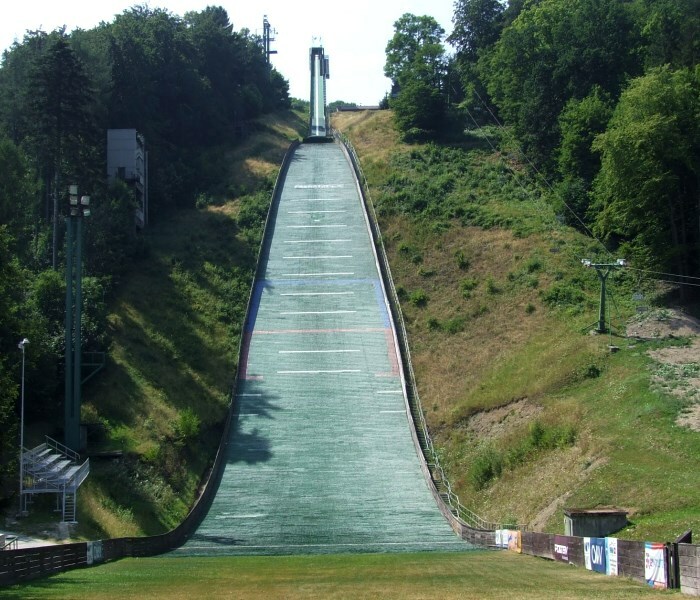 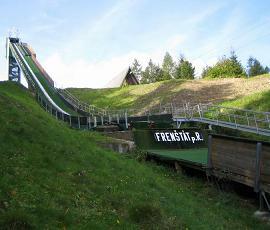 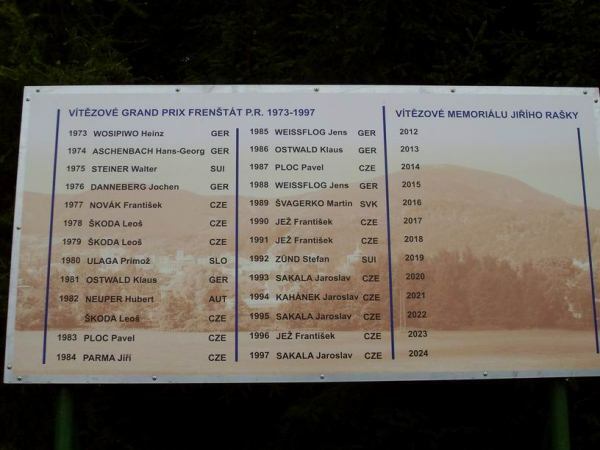 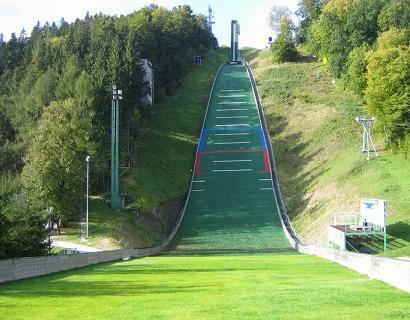 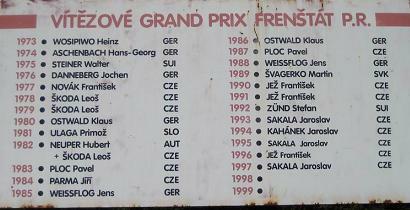 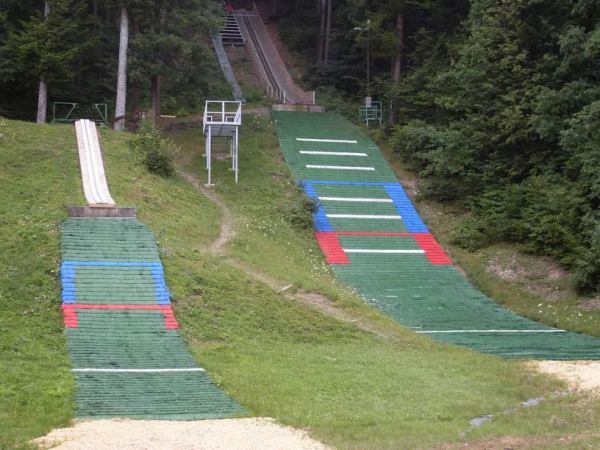 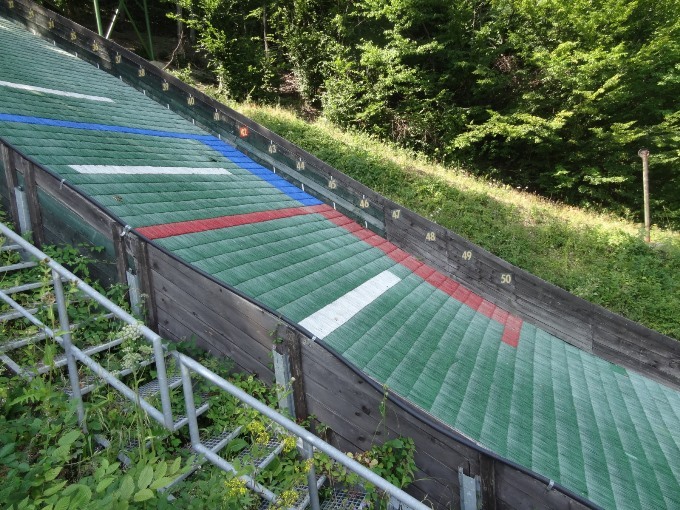 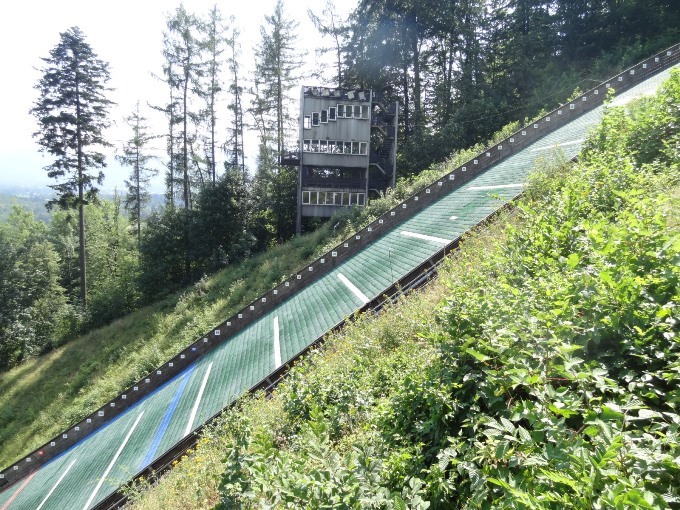 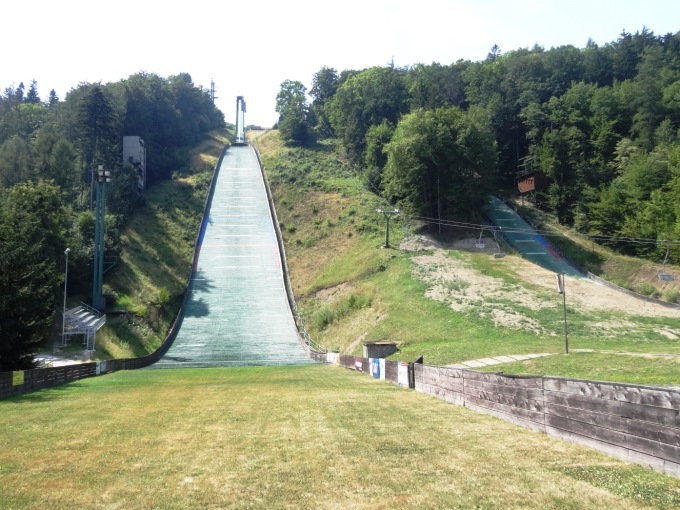 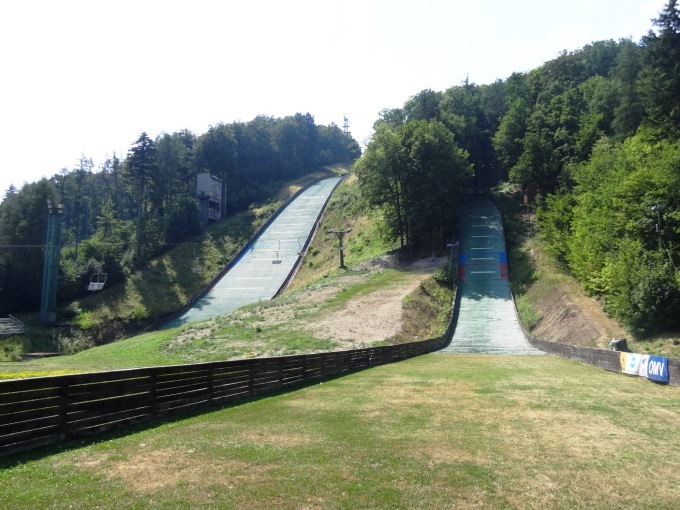 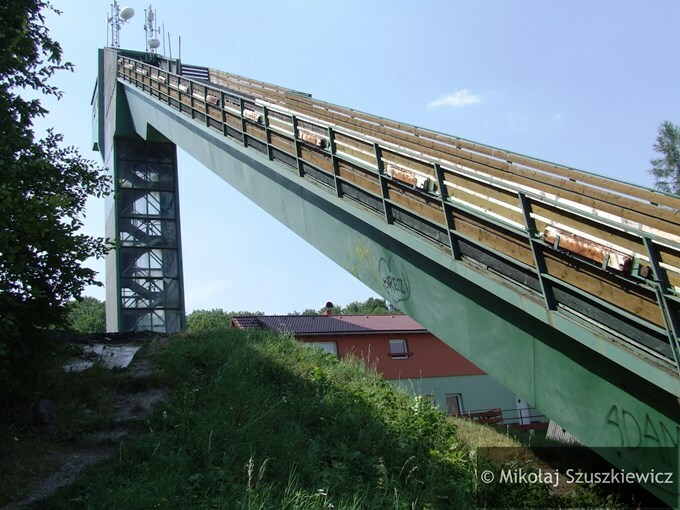 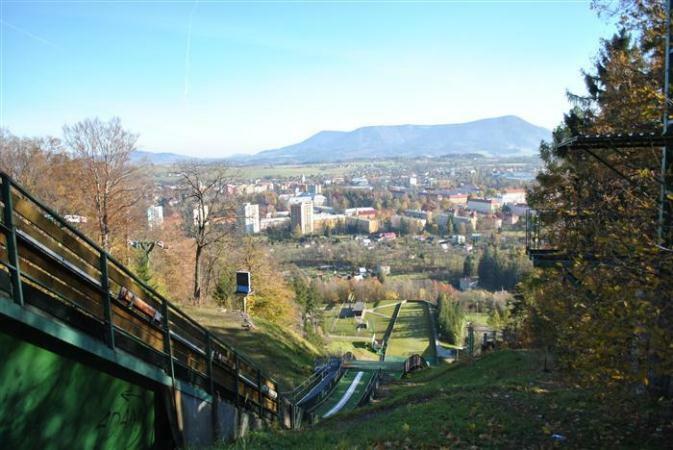 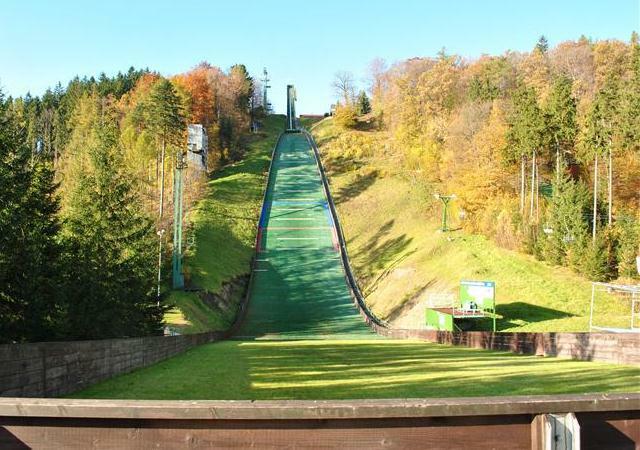 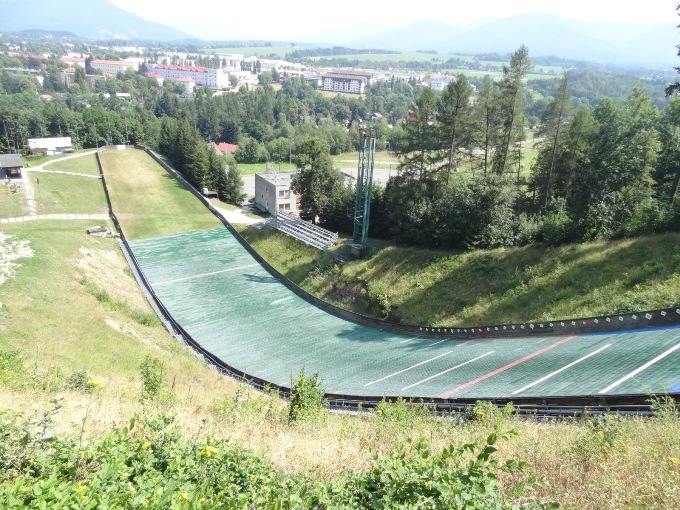 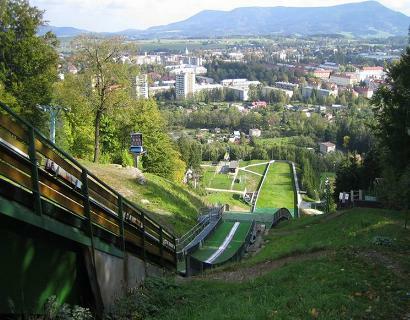 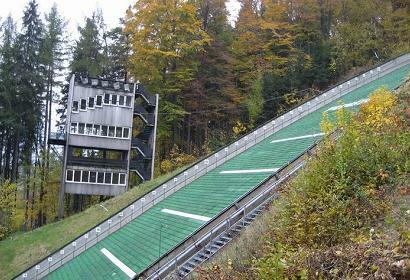 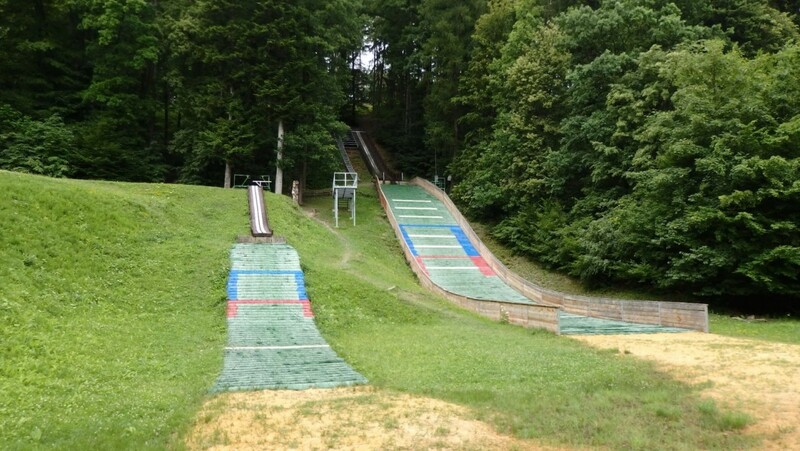 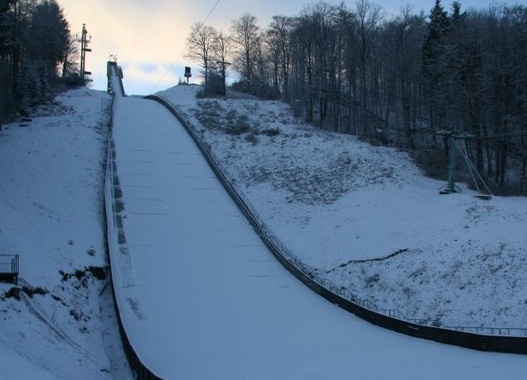 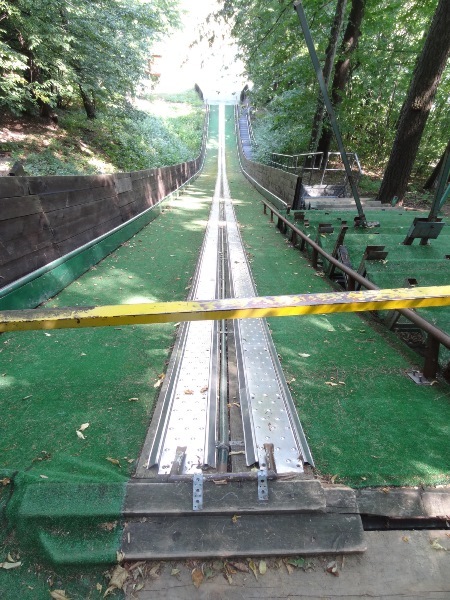 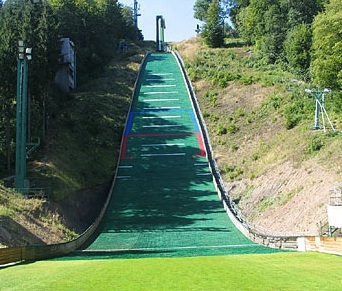 Frenštát is one of the most famous ski jumping centers in the Czech Republic and from 1973 to 1997 there has been the annual summer international “Grand Prix” competition. 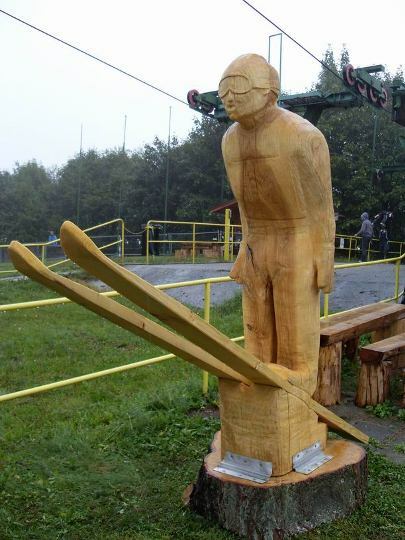 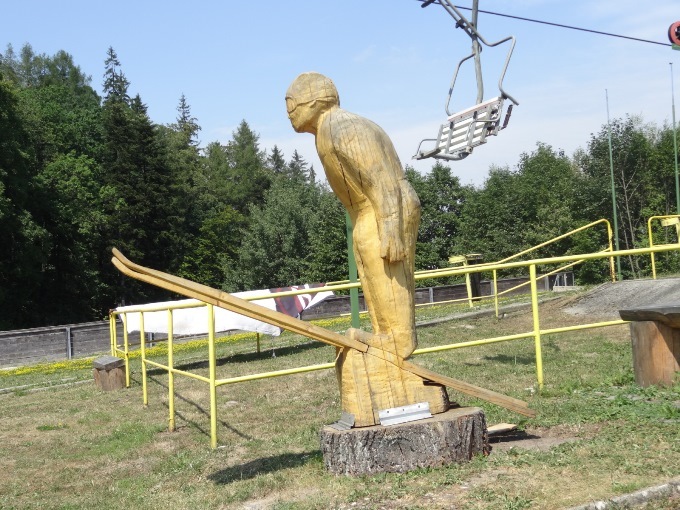 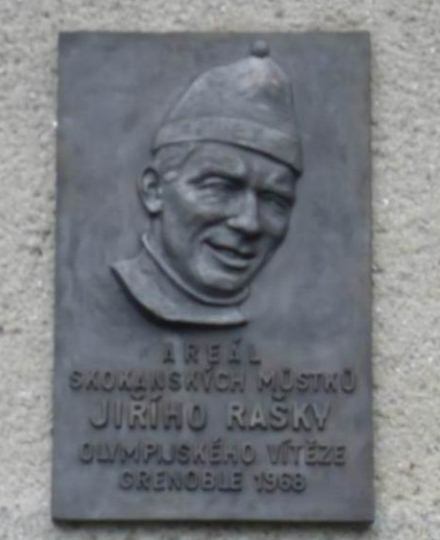 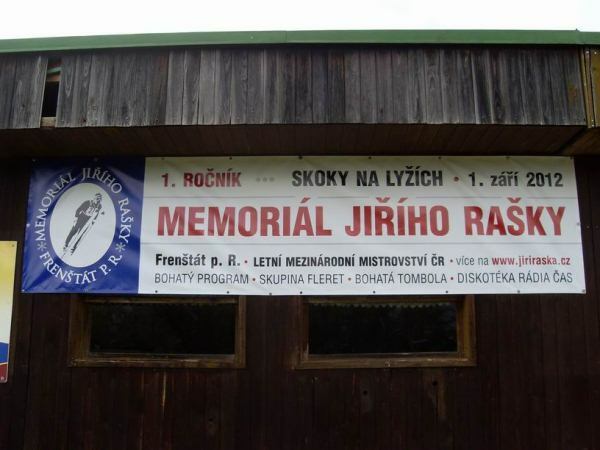 Most famous ski jumper was the Olympic champion of 1968 Jiří Raška, after he passed away in 2012 the ski jumping facility was dedicated to him.